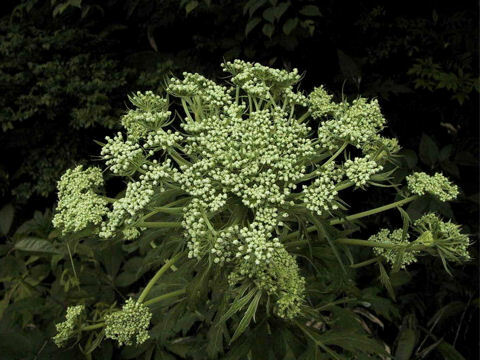 The Japanese angelica (Angelica acutiloba) belongs to Apiaceae (the Carrot family). 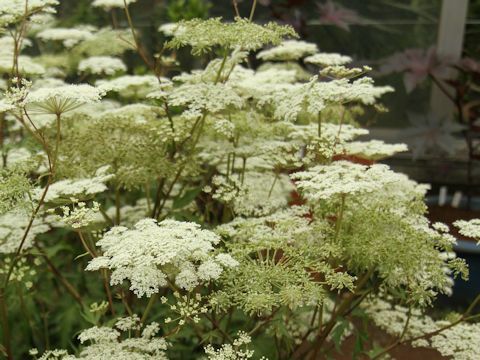 It is a perennial herb that is native to Honshu of Japan. 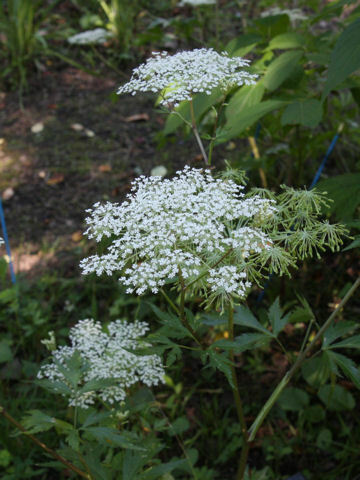 This herb grows in mountains or deep mountains, and can reach 40-90 cm in height. 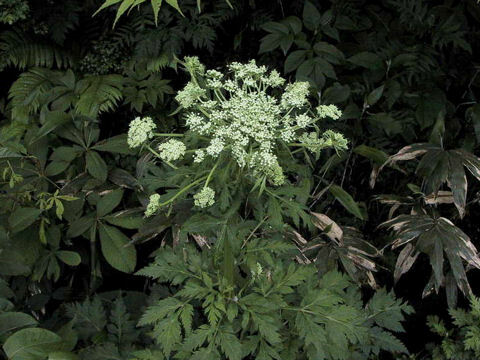 The leaves are biternate to triternate compound and arranged alternately. The leaflets are deep bilobate to deep trilobate. 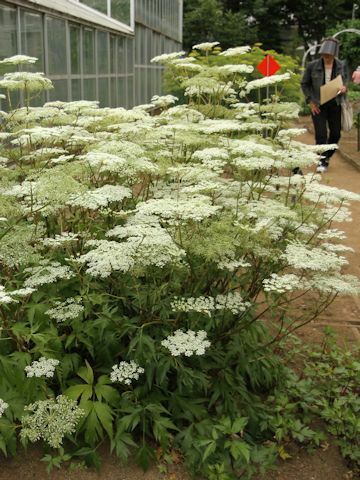 The whole plants have strong smell. 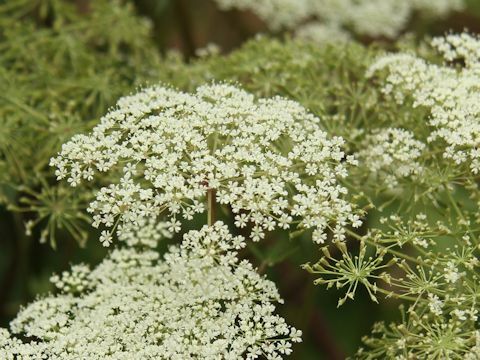 The compound umbels are borne and the small, white flowers bloom in profusion from June to July. 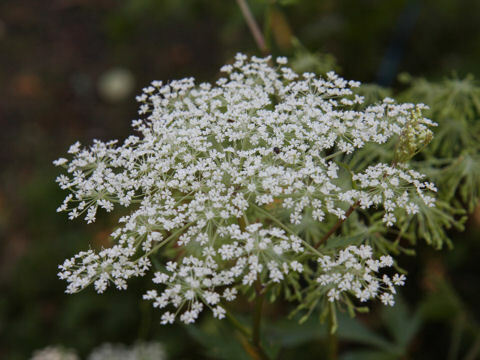 The roots contain essencial oils and used as medicine for nutritional fortification, pain relief or assuagement. 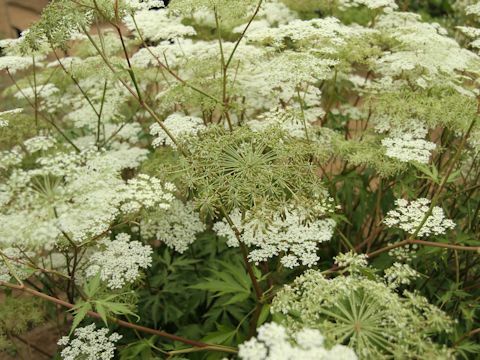 Even now, it is cultivated as a herbal medicine mainly in Hokkaido and Nara prefecture.